We are glad to introduce a software solution for professional matchmakers. 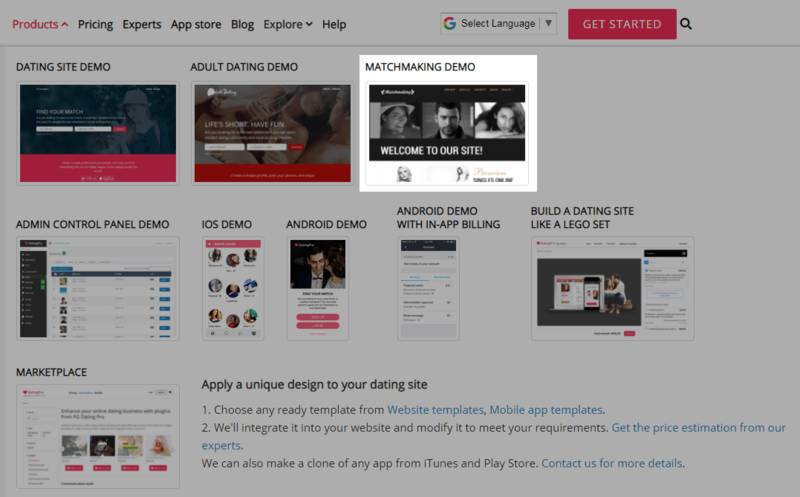 If you’re an independent matchmaker, a dating coach, or if you run a matchmaking agency, you now can spend less time developing your own matchmaking website and more time marketing it. Increase conversion from visitors into customers with interactive and animated chat invitations. Advertise your selected customers in HTML widgets, photos carousel, photo galleries on the main landing page. Decide if you want to let people create accounts for themselves or create profiles from your admin control panel. You can have the profile questionnaire thoroughly adjusted to your needs. Let your customers manage their own profile and post photos. They can subscribe to receive alerts about new matches, or you can send them hand-picked matches from the control panel. Easily filter people by different customizable criteria, find matches, and use the built-in communication tools to talk to your customers. Give people the chance to register for events directly on your website. It’s perfect for speed dating events and other offline adventures. The built-in tool lets members join events, exchange comments and pictures, and invite other site members to join and have fun. Use the Site Operator to manage communication between the site members. Every time people of different language backgrounds are involved, you are likely to require the services of an interpreter. With the help of the Site Operator, the interpreters on your team will be able to help your customers converse in real time. Find more information about the matchmaking software on this page along with some package ideas. Contact our experts team to request access to a more extended list of features, and share your thoughts in the comments section below!